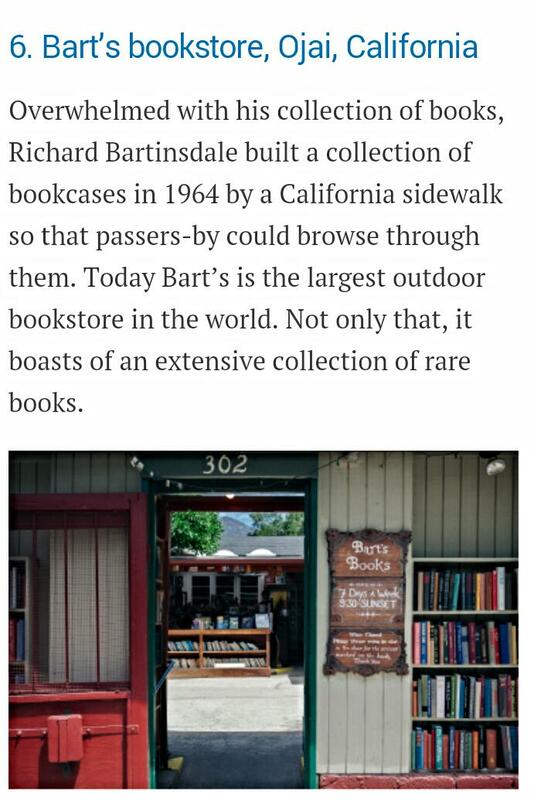 New Bucket List – First Stop, Bart’s Books! | Portraits of M.E. New Bucket List – First Stop, Bart’s Books! In this post I’m going to share the picture I took, as well as the article that started my new bucket list adventure. Maybe later on I will write more about the bookstore itself. Do you have any unique bookstores in your location? If so, please share. I’d love to hear about them! For more information about Bart’s Books, you can visit their webpage at http://www.bartsbooksojai.com/.